Since 1984, Moore’s Furniture has consistently delivered more value, more selection and more service tofurniture buyers all across Georgia. Inside our 34,000 square foot showroom at 2950 Riverside Drive in Macon is a specially chosen selection of bedrooms, living rooms, dining rooms, rugs, dinettes, rugs, sofas and accessories. If there’s something you like on our showroom floor, we probably have more just like it in one of our two local warehouses. At Moore’s Furniture, we welcome special orders. Come in today and chose your custom covering for your next sofa or chair. As you browse our website, you can shop from more than 30 of America’s best known name brands. 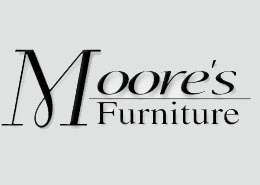 Moore’s Furniture is a local, family owned, full-line furniture store with no games or gimmicks. Our customers tell us hassle-free shopping is important and we agree. Our sales team is non-commissioned but definitely committed to complete customer satisfaction. With more than 112 years of combined sales experience, our team can create the right look for your home or office. At some stores, you might find one or two part-time designers on staff. At Moore’s Furniture, our four full-time on-staff designers regularly bring fresh ideas and the latest trends to life in homes and offices across the country. Your purchases can be taken home that day or let us deliver it anywhere in Middle Georgia.